At the sporty end of the Honda spectrum the Japanese makers have always prided themselves on their high-revving naturally aspirated Vtec engines; however, the new Civic Type R is to receive a turbo that will send 276-bhp to the front wheels. That’s a lot, and my first thoughts were, “Can this be done, just like that?” Did Honda say, “I know, whack a turbo on it and throw a load of extra power to the front wheels?” After all, sending massive bhp to the front wheels isn’t always a good thing – look at the under-steering Focus RS and Vectra VXR. But then I’m no technician and don’t qualify to even comprehend such technical wizardry. I still wanted to know what they had to change to allow for not just the extra grunt, but how the grunt is applied. I own a turbo, and a turbo isn’t just extra power; when it kicks in it’s sudden and like that moment you catch a wave when paddling back to shore on a bodyboard. Suspension is obviously the main consideration, and delving a little deeper, I discovered why they decided to turbocharge an already good car. Apparently, this quest for more power is a response to all Honda’s competitors now beating them in bhp figures. Not only that, they are being left behind in the hot FWD hatchback market. 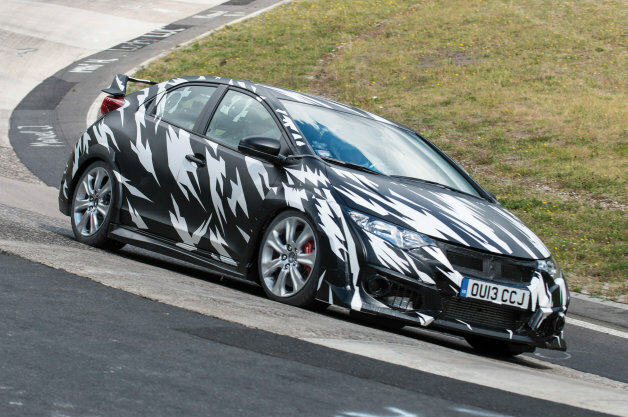 To counter this, Honda are testing this all-new Civic in Germany for ride and handling to have a crack at the Nurgburgring FWD lap record – this currently stands at 8 minutes and was set by the Renaultsport Megane 265. To keep in touch, a naturally aspirated engine just won’t cut it, especially if displacement is to be kept below the 2.5-L range and out of the 3.0-L V6 territory. The Civic is a small hatchback, so appeals to a specific demographic – chucking a thirstier and bigger engine in it just wouldn’t do. Honda say it’s lost the high-pitched note that comes with the high-revving old twin-cam V-TEC engine, but now offers a deeper and throatier rumble – that’s a plus in my book. I’m quite looking forward to seeing and hearing one on the roads. 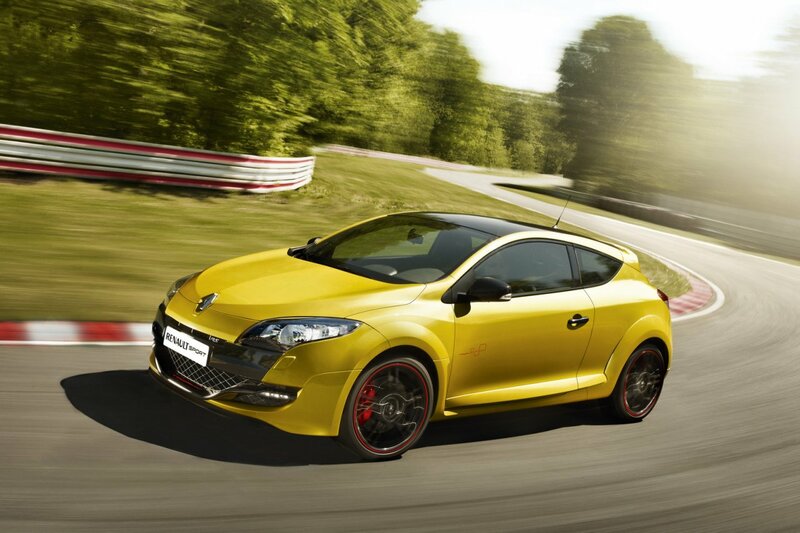 I think the combination of Honda’s high-revving engine combined with a turbo is definitely going to challenge the Megane 265’s record.